This natural after sun lotion is made without Parabens, Lanolin, phthalates, artificial perfumes, petrochemicals and colourants to bring you the purest sunscreen that nature can offer. *Aloe barbadensis (aloe vera), *Elaeis guineensis (palm oil), Cetearyl alcohol (plant wax extract), *Olea europaea (olive oil), *Helianthus annuus (sunflower oil), *Chamomilla recutita (chamomile extract), Cetearyl glucoside (corn and coconut wax extract), Glyceryl stearate (derived from plant material), *Calendula officinalis (macerated marigold), *Prunus armeniaca (apricot kernel oil), *Mentha arvensis (corn mint oil), *Lavandula angustifolia (lavender oil), Rosmarinus officinalis (rosemary extract), Commiphora myrrha (resin from myrrh), Phenoxyethanol, Benzoic acid and Dehydroacetic acid (gentle preservative system), Citric acid (pH-modifier), *Linalool (from essential oils), *d-Limonene (from essential oils). 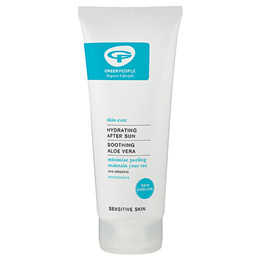 Below are reviews of Green People Hydrating After Sun Lotion - 200ml by bodykind customers. If you have tried this product we'd love to hear what you think so please leave a review. 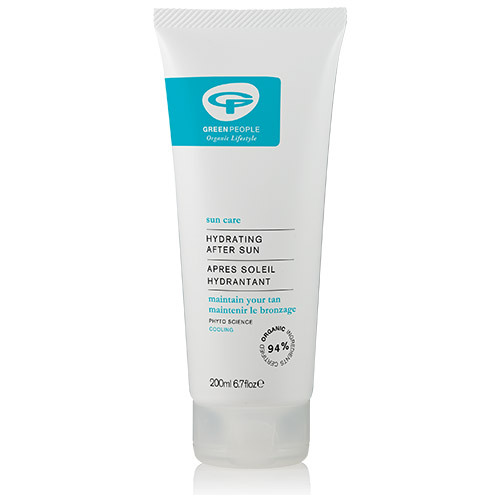 Green People Hydrating After Sun Lotion is a natural after sun lotion for all skin types, that can also be used as a cool, fresh body lotion Contains Aloe Vera, Calendula & Mint.